This memorial fan design offers a graceful cascading waterfall amidst a natural outdoor setting. A great idea and unique memorial to stay cool during those warm days. A perfect accompaniment to the matching designed program, bookmark or prayer card. 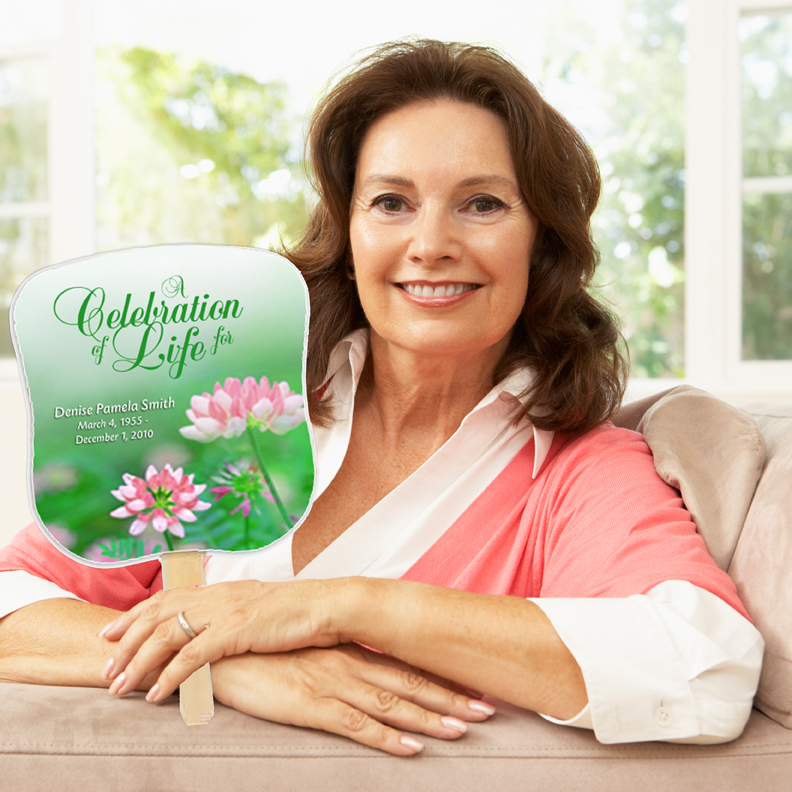 The colors for this memorial fan are lush green hues. Comes fully assembled with your personalized artwork/text and ready for distribution! A perfect accompaniment to the matching designed program, bookmark or prayer card. Add up to 3 photos on the front and back, if desired! Make it extra special by adding a personalized line of text imprinted on the wooden handle, if desired.